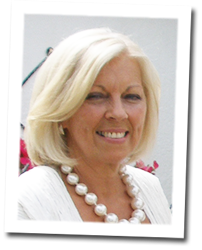 I am a member of The Fellowship of Professional Celebrants, training in partnership with the UK College of Celebrancy. I was a primary school teacher both in England and in several locations abroad. I married a Yorkshireman and have lived in Leeds for over 30 years. I have brought up 4 children and have sat on several committees some dealing with sport – mainly rugby! Being both a Junior Chairperson and Hon. Sec. for many years. I am used to speech writing and speaking in public. I pride myself in offering a friendly, personal professional service to the family. I deliver timely services in a reliable, professional way.